It seems appropriate that country music's most-senior star would also be its prolific. 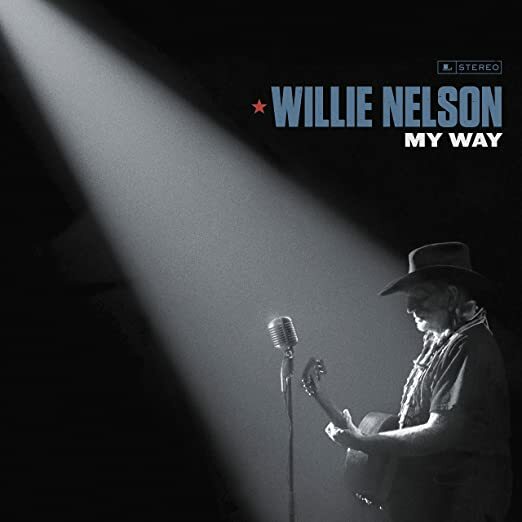 My Way, Willie Nelson's new studio album, explores his admiration and connection to Frank Sinatra's art and artistry across 11 fresh, intoxicating takes on songs made famous by the Chairman of the Board. Recorded in the tradition of 1978s legendary Stardust and 2016s Grammy Award-winning Summertime: Willie Nelson Sings Gershwin, My Way is a warm and personal nod from one icon to another. Included are Willie's takes on timeless tunes like "Summer Wind," "It Was A Very Good Year," "I'll Be Around," "Fly Me To The Moon," "What Is This Thing Called Love" (cast as a duet with fellow Grammy winner Norah Jones) and, of course, the anthemic "My Way." Add Willie's stalwart backing band plus lush arrangements for full string and horn sections - all produced by Grammy winners Buddy Cannon and Matt Rollings - and you've got an album that promises to be as cool as it gets. Nelson and Sinatra were close friends, musical colleagues and mutual admirers of each other’s work throughout Sinatra’s lifetime. In the 1980s, Sinatra opened for Willie at Golden Nugget in Las Vegas and the two of them appeared together in a public service announcement for NASA’s Space Foundation.